My first acid dye experience = messy mess. Well, it came out okay as you can see below. The problem is that the black ran really bad while it was in the rinse after steaming. The white turned gray so I scrubbed it with soap. The white became more white again, but then I ended up with a bit of felting. I did speak with a lab tech from PRO Chemical this morning and they aren't sure what happened to the black either... I did everything right according to them. Owell, hopefully the next batch comes out a bit better! So, does anyone know what this is?! Does anyone remember the Opal Tiger sock yarn from a couple of years back?! Yes, yes, its self-striping tiger sock yarn reborn! I still have to see what it looks like knit up, so stay tuned! The second present was from Ashley! She was kind enough to buy my Earth Day yarn on ebay that is going to support the Preemie Project. 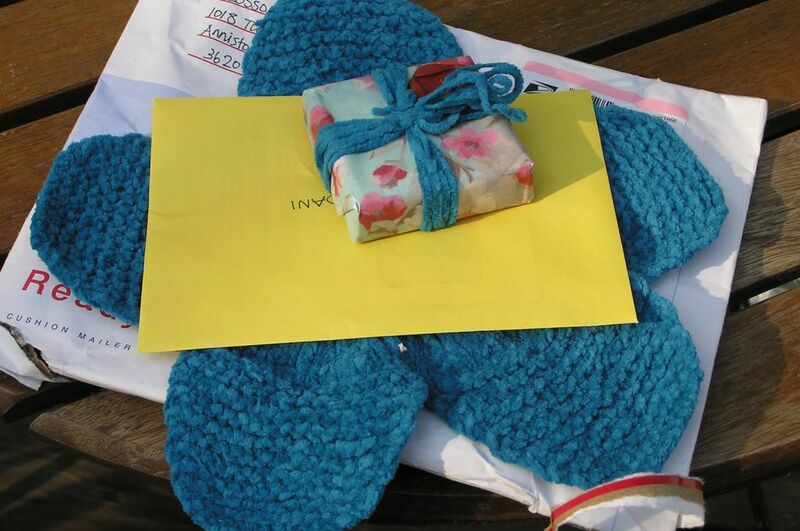 As you can see from her blog, she is knitting it up already! How exciting. 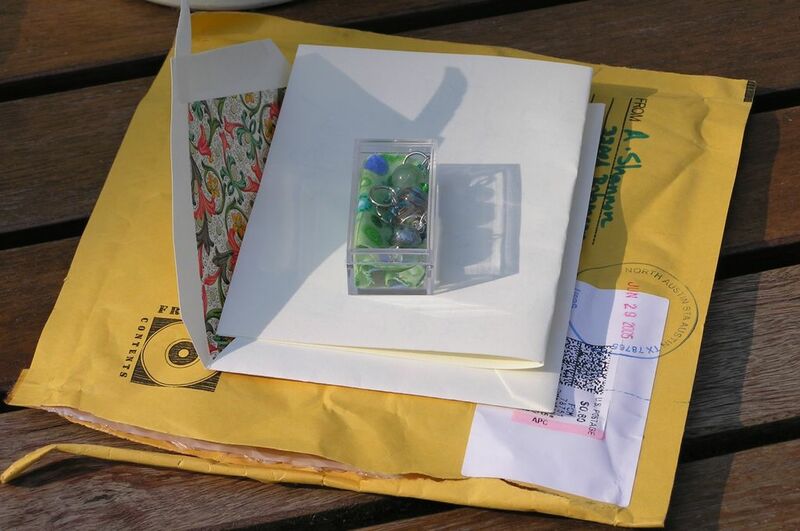 Anyways, she sent me some stitch markers and a beautiful card! I am loving all these beautiful handmade stitch markers! I can never have enough! Oh pretty yarn! Neat tiger colorway. Dani, you're SO crafty. HUGS! I need to give into the pressure and try dyeing some for myself. We'll see maybe one day I'll be brave enough. That sock yarn looks great! You have to knit that up soon so we can see what it looks like! Great gifts too--you definitely deserve it--you are so sweet! Hope your day at work is better than yesterday... take care! 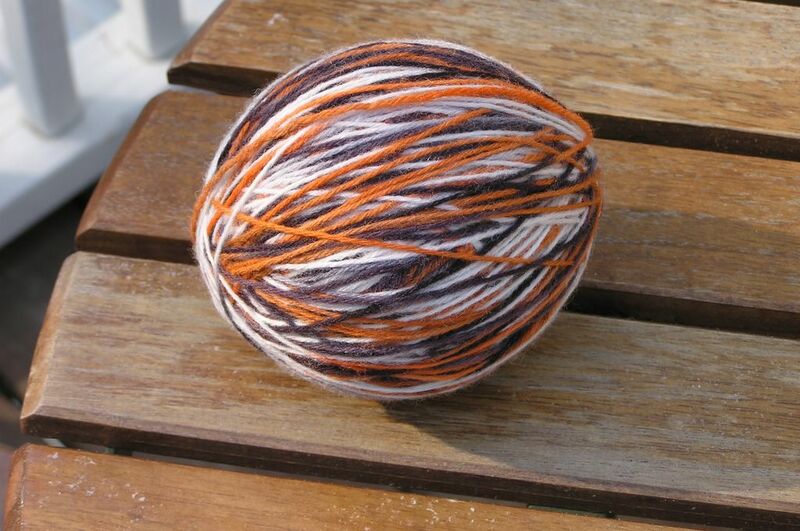 Very cool tiger-stripe yarn! I am looking forward to seeing it knit up. So acid dyes are messy, huh? Maybe I should work through my current Kool-aid stash before moving on up..
ooo, nice stripey yarn! so glad you like the package. Oh good, I'm glad they got there-on the same day I got my yarn too! 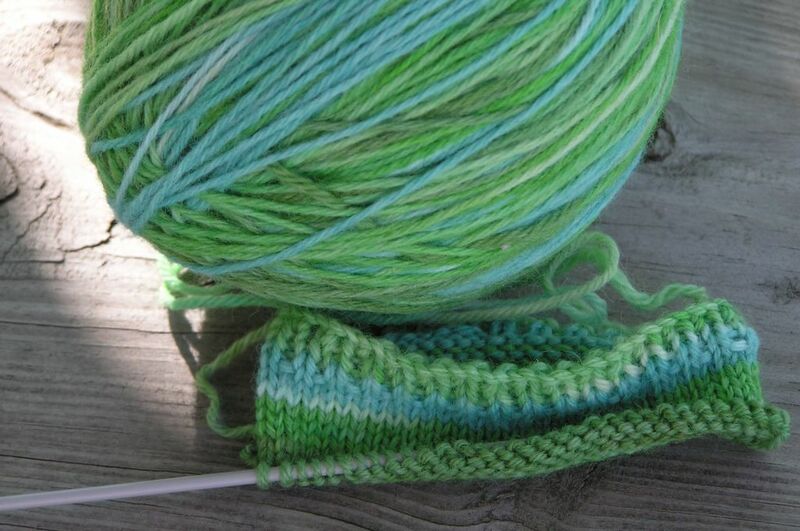 That tiger yarn looks like it is going to be VERY cute knit up! I think the tiger yarn looks great--can't wait to see it knit up! 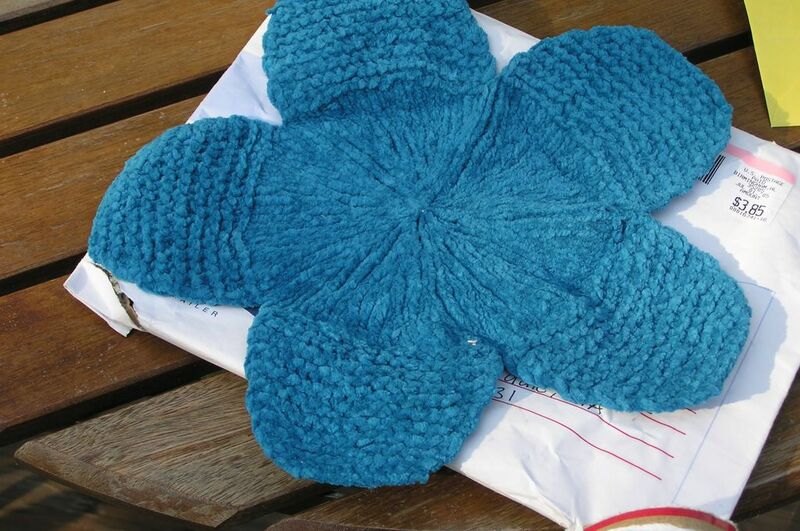 I love the flower shaped wash cloth. Do you know where I can find the pattern? 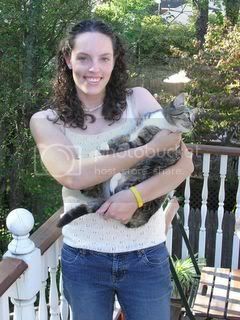 Wasn't there a magazine called "Tiger Beat" -- I think that the yarn looks cool! Fun surprises!! that has got to be the neatest yarn:) love it! i really like those stitch markers too.. she is very talented! i hope the dye works better next time, that must have been really frustrating! GROWL!! I am loving the tiger yarn... I haven't been around all week and I missed so much! The colors of Dr. Sock are so nice (right up my alley) and you look fabulous in the Hourglass sweater - it's such a flattering fit! What great yarn! And I love getting presents in the mail!!! So fun! So? 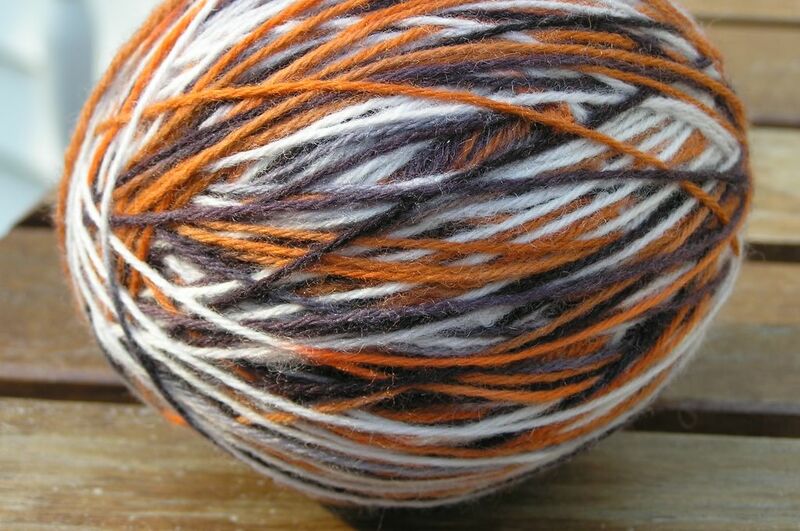 What does the tiger yarn look like knit up? I wanna see! Acid dyes are messy, but the colors do look good. Love that yarn! How in the world did you do that? 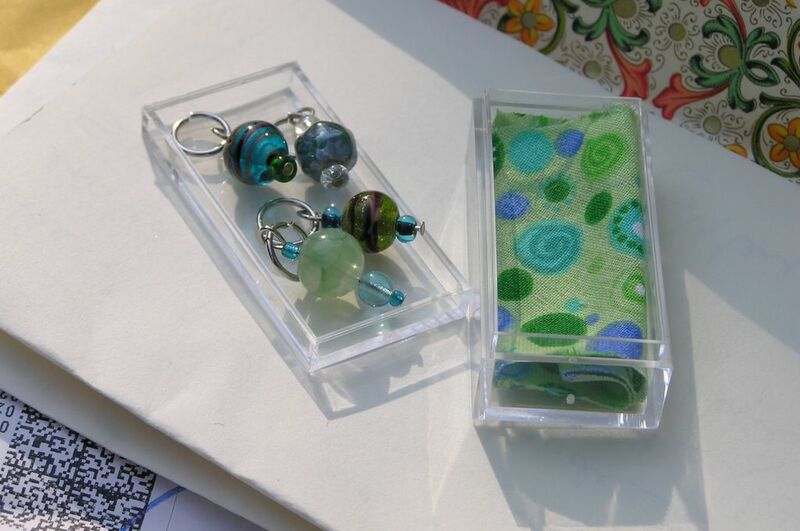 The dishcloth is just an adorable idea and I love the stitch markers too! Great way to end a heck of a day, eh?